Kathryn Allison Mann was the head of research for the television series Mad Men. She mined period books, magazines, and newspapers—as well as her extensive network of New Yorkers—to ensure the historical accuracy the show is famous for. Much of Mann’s notes and original material is included in the show’s archive, recently acquired by the Ransom Center. The archive will be available for research once cataloged. “Mad Men” writers. 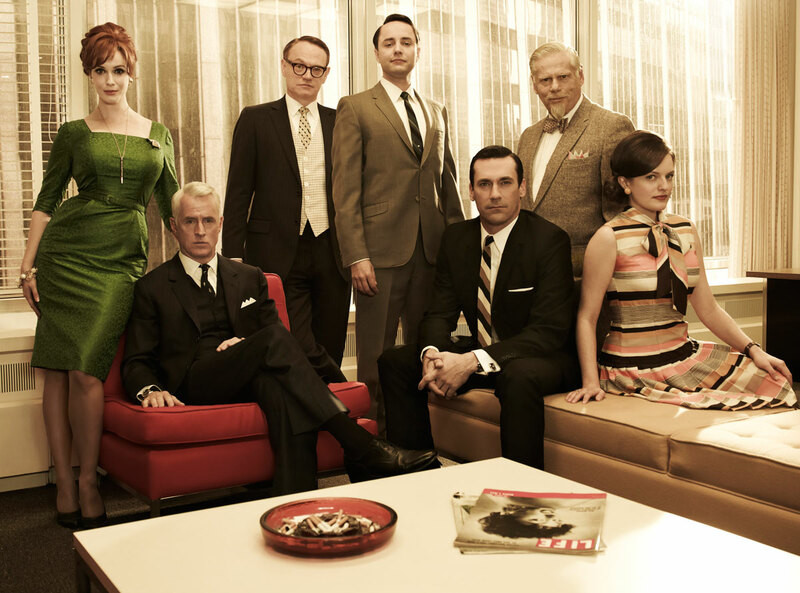 Matthew Weiner is fourth from left. What did a normal day look like for you on set? A normal day could be so many different things. Let’s say a new draft of a script had been released. I went through it, page-by-page, investigating potential anachronisms or general errors. This could have been anything! Idioms or words that may not have been of the period were always on my radar. For example, if I saw in a draft that Roger Sterling says, “This ain’t my first rodeo,” I would think, “Hmm, I wonder when that expression came about?” I looked for references to it from the period and researched the etymology. “Oh,” I thought, “It turns out this expression didn’t enter our lexicon until the 1980s, allegedly coined by Joan Crawford.” I found and provided references from sources like the Oxford English Dictionary or slang etymology reference books. Sterling Cooper client references were verified. Let’s say that in the episode at hand, Don has a pitch with Jaguar or Howard Johnson’s. If it was a real company, Matthew Weiner wanted everything the characters say about the company’s product, problem or image to be based in reality. So with that in mind, I’d note any inconsistencies between the dialogue as scripted and the world as it was. This went for characters with skill-specific jobs too—lawyers, bankers or doctors who might appear in an episode. Let’s say Betty goes to see an oncologist. I made sure the doctor’s process is accurate medically and for the period, and that the dialogue is accurate. Sources for things like this were ideally professionals who actually worked in the field in the period. I had, for example, an oncologist contact with a great memory for how he practiced medicine in the 1960s. He’s still working too, so his mind’s still in it; he’s sharp. He provided invaluable explanations to me about all sorts of medical questions we had throughout the seasons. For general references to New York, like restaurants, movies and plays, I made sure any reference was accurate for the date of the episode—e.g. ensure that a certain movie was playing or that a certain play had opened, and where. The list of the types of things I looked for in the script goes on—essentially, anything and everything that had bearing on reality or the period. While I was focused on writing my research notes for a particular draft, sometimes the writers had a research question about a storyline idea they were mulling over for a future episode. In that case, I popped into the writers’ room to discuss it. But since that morning’s draft was the priority (priority determined by how close we were to shooting it), I might spend some time researching the writers’ question, if it was something I thought could be determined quickly. Otherwise, I saved the quest until research notes were completed for the script at hand. I might also have received a call from the art, prop or costume department with a question this day. Other departments did their own research too, but they came to me if they were having trouble tracking down a particular reference, or if they thought I might have research or photos in my files already about a specific topic. There might have also been a writer off “on script”—that is, a writer writing a first draft of an upcoming episode. I communicated with them about research questions that arose while they were writing. At the end of the day, I sent my research notes and references to the writers’ assistant, who transcribed Matthew’s re-writes of the episode later in the evening. The assistant went through my research and the notes from the writers (also given after every draft) with Matthew as he did his re-writes. This show is such a realistic testament to American culture of the 1960s. Were there any historical events or trends that you were particularly excited to research? The moon landing (and events—the launch!—leading up to it) was so fun to research and map out (I made a timeline for the writers to use as a guide for the episode). Watching all of Walter Cronkite’s reporting, minute by minute, was riveting. You could sense the excitement and the optimism, and the uncertainty of whether we’d succeed—and the national pride in our accomplishment when we did. It was all very palpable. Born decades later, I felt like I was able to experience the event as it unfolded. What kind of lead time were you provided to conduct research for episodes? This depended. With some research-related storylines, I knew as early as my first week back for the season, when Matthew expressed his vision for the season to writing staff. In those cases, I had plenty of time to start digging into a particular event or topic. Research came up at all stages though: as the writers were breaking individual episodes, once the outline was written, and as the actual script went through various phases. For some things (usually small details), I had as little as a day or an hour; with others (usually bigger storylines), I had months. Was there a process and/or approach you followed to execute the necessary research? Every quest required its own approach. Some things I had a specific process for, like researching language, or figuring out which movies were playing in New York City on a certain day (via archived issues of the New Yorker). More obscure things demanded less-established paths. The process generally was the same, though: find the most definitive, reliable source, or find the most definitive expert on the topic at hand—and if it’s not revealing itself readily, stay curious and keep looking. Original research materials of the period. What are some of your favorite research resources and why? 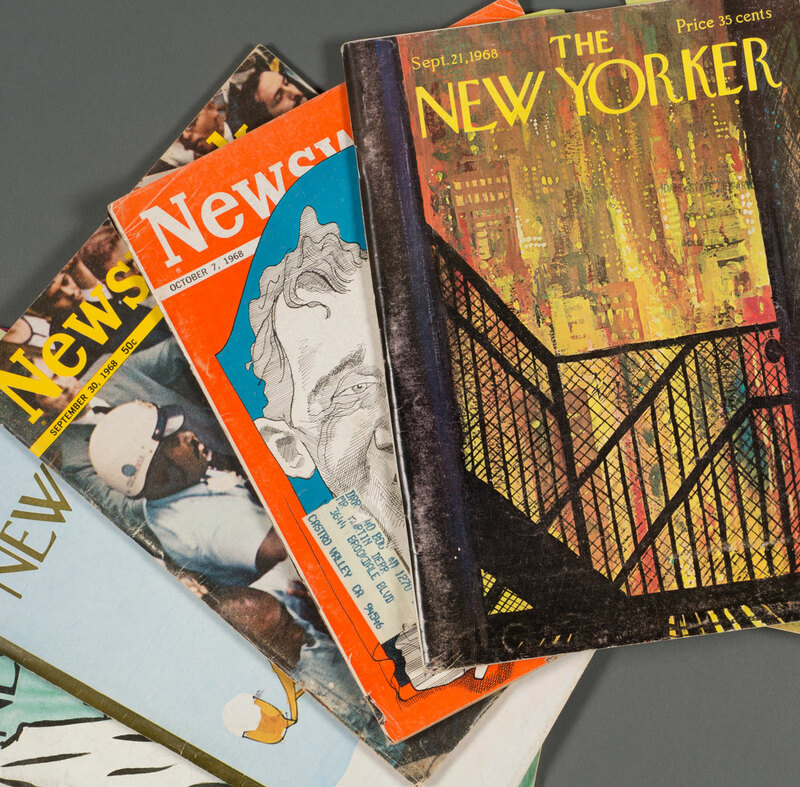 Archived periodicals: New York Times and other historical newspapers, New Yorker, TIME, Newsweek, Life. People: People who actually lived in the 1960s New York world we were re-creating, and/or experts on a particular issue or in a particular field—a huge resource. I had dozens of contacts for different areas of interest: advertising contacts who worked in these agencies in the period, people with general New York knowledge, people who lived in different parts of New York and had great memories, an OB/GYN doctor, dentists working in the period, an expert on UK tax law, an expert on maritime law in the 1960s, the definitive divorce lawyer in New York (then and now), an expert on draft-dodging, professors, and on and on. Oxford English Dictionary and other idiom or slang dictionaries helped to date the language on the show. I also used archived periodicals and period books to do this. Language is not always an easy thing to track! New York Public Library, Los Angeles Public Library and any library or museum with a collection specific to a particular query. Ebay: I never knew what I would find there. Great resource. The results of your research are now in a research library to be studied by others—the researcher becomes the researched! What are your thoughts on that? How wonderful! I’m just happy to know other people are curious and as excited about Mad Men as I am.